Amar Shergill(right) with Governor Jerry Brown, Assemblymember Mariko Yamada and community members for signing of AB1964 and SB1940. Since 9/11, Sikhs across the United States have been subject to hate crimes including assaults, shootings and murders. The American Sikh Public Affairs Association engages civic leaders and encourages Sikhs to take an active role in civic affairs. 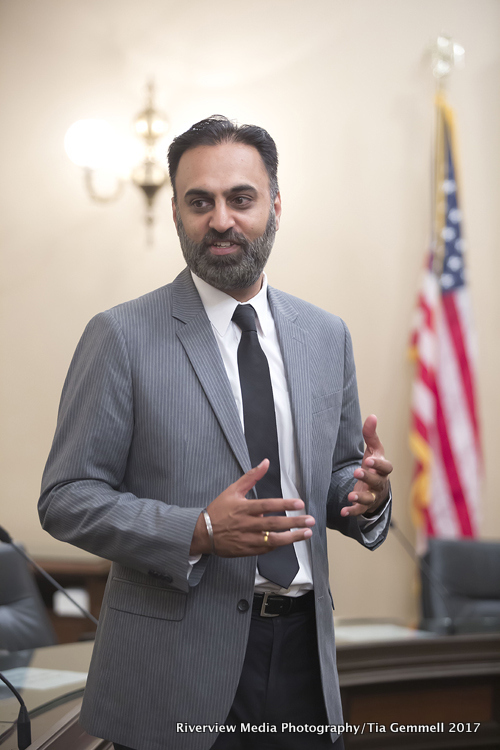 Amar Shergill led grassroots efforts to enact AB1964, which protects all employees from workplace religious discrimination. (Hyphen Magazine) For more information about AB1964, read this article published in The Litigator (page 8). American Sikh Public Affairs Association has also taken a leadership position whenever our community values are under attack. Amar Shergill was a leader in the local response after the Oak Creek massacre (ABC News 10) and after a hate crime in Davis, California. (California Aggie) In recognition of his work in the community, he received a resolution from the California Assembly. Every year, the American Sikh Public Affairs Association brings together the largest gathering of Sikh civic leaders in the state to discuss civic activism and meet with legislative leaders. Amar Shergill also leads seminars at the State Capitol for legislative staff.